Grosse exclu ce soir sur Pumpmylife. Je vous présente aujourd’hui les premières photos de la Reebok Insta Pump Fury x Bape, après une première version avec AAPE by Bape, la marque Japonaise revient en 2014 avec la version 20éme anniversaire. Une coloris très simple, du camo et sur le talon l’étoile et le nom : »BAPE ». Exclue this evening on Pumpmylife. 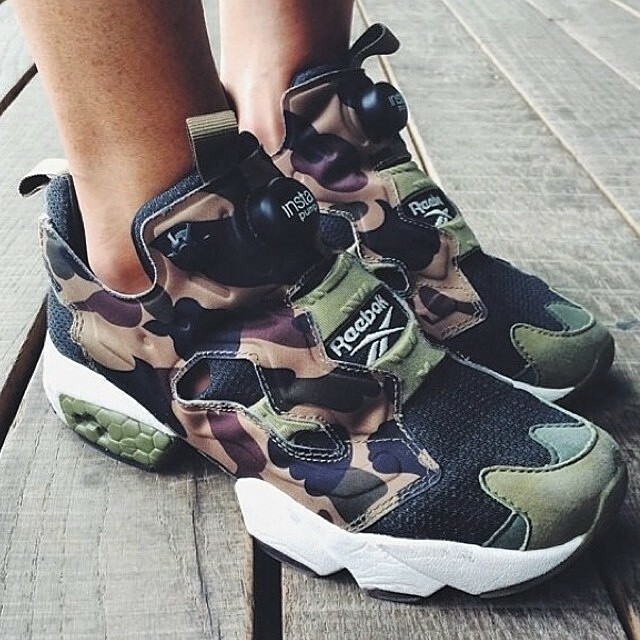 I introduce you the first pictures of the Reebok Insta Pump Fury x Bape, after a first version with AAPE by Bape, the Japanese brand is back in 2014 with the 20th anniversary version. 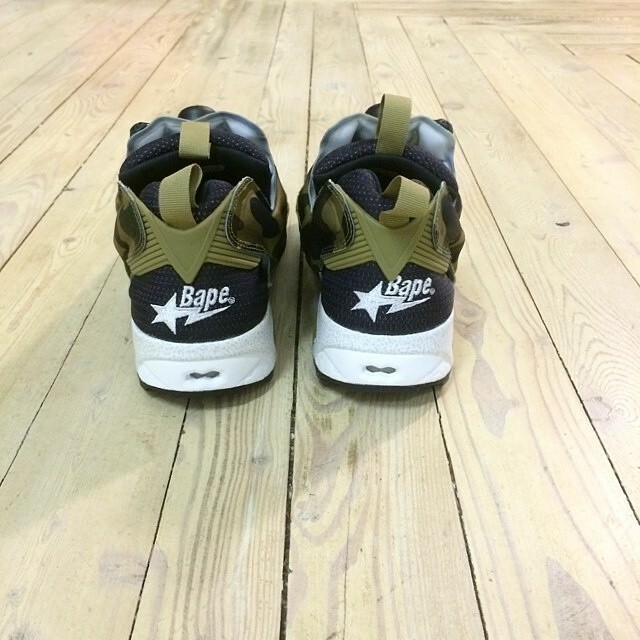 A very simple color, of the camo and on the heel the star and the name: « BAPE ».